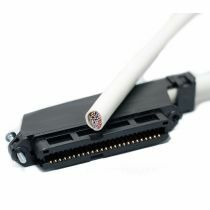 An RJ21 Cat5 Telco Amphenol cable is used for connecting multiple data or voice lines - typically for LAN or Telecommunications applications. 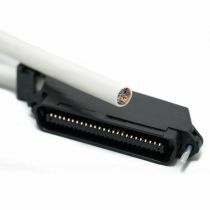 Buy telco Cat5e cabling from the DTT UK online shop below. Cat5 Telco cables are available in a choice of lengths. WE CAN MAKE TO ANY LENGTH REQUIRED, IF YOU CANNOT SEE THE LENGTH YOU NEED PLEASE CONTACT US. 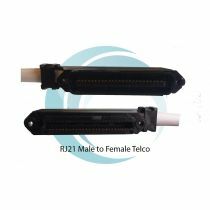 RJ21 Cat5 Telco Male - Female. 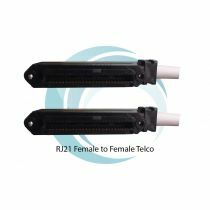 RJ21 Cat5 Telco Female - Female. RJ21 Cat5 Telco Male - Open. RJ21 Cat5 Telco Female - Open.